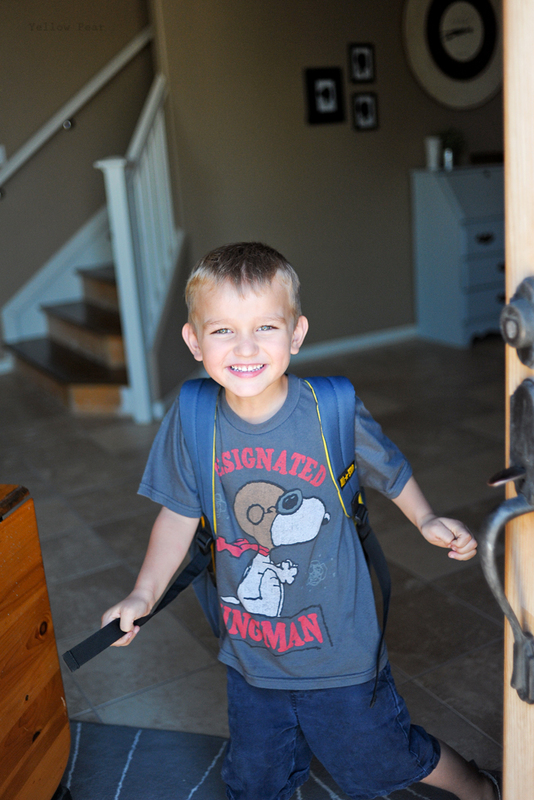 My last little man started preschool recently. He has been super beside himself in anticipation of the blessed event. The big kids all go to school and obviously he wants in on that action. And he has loved his first few days. He shows me his papers and folders and tells me all about germs and the food pyramid and how to make apple crisp. Yes, here is to his illustrious scholastic future. He has plans. Big plans. He is determined to be a candy maker and buy all the "quipment" and machines to make candy. He fell apart the other night just before bed because he was suddenly panicked about how he would buy all of the necessary supplies to make candy (in the future). Apparently he has a great sense of urgency. Silly boy. I tried to tell him there is plenty of time to grow up and buy candy supplies. Also, he is quite sure that eating large amounts of candy will reverse time and make you young again. I suppose it's the exact opposite of eating your veggies to "grow big and strong". His imagination is endless I tell you...along with his energy. It is quite entertaining and only sometimes exhausting. Each new day brings another invention or creation. They range from paper hats with hand-cut doors that release dry cereal, to an entire band of handmade instruments and the sheet music to go with it. 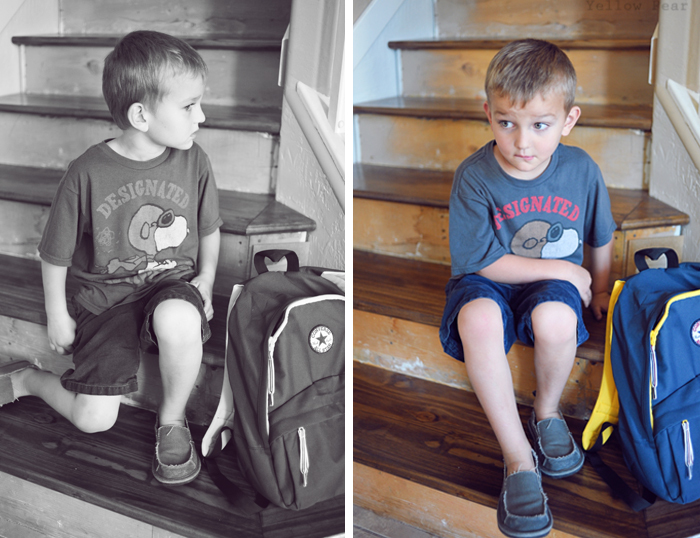 I had to document his cuteness one day after preschool (also I can't wait for the stairs to be done...I think they're going to look awesome-just maybe someone should come finish them for me...I ran out of steam). He is at the prime age for crazy poses and barely looking at the camera out of the corners of his eyeballs. He thought jumping behind the door just as I clicked the camera was HILARIOUS. Which made for awesome smiles. Watch for big things from this one...like Age-Reversing Chocolate Truffles, or The Chocolate Fountain of Youth. 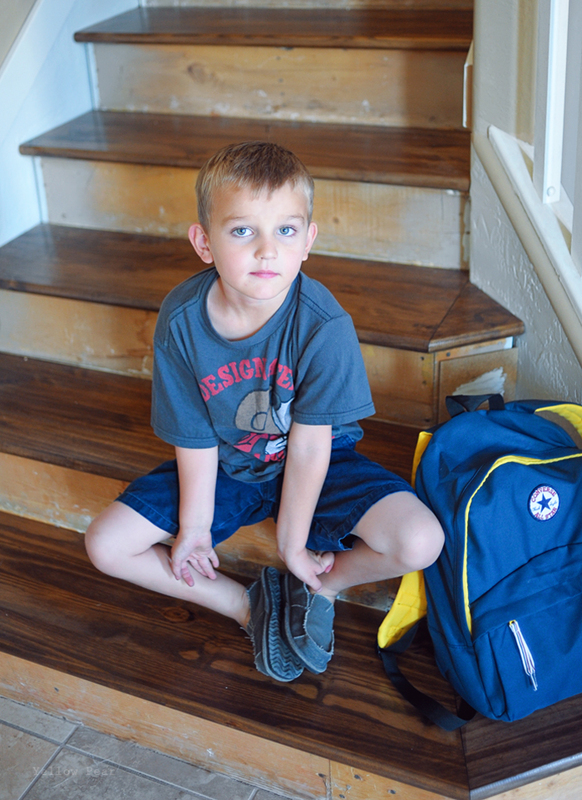 How are our little men growing up so fast? Makes me sad E.